Google's Nexus 5X Will Definitely Continue Nexus 5's Legacy. Nexus - A topic, a brand, a contender & certainly a device that runs through every consumer's mind, if you're down for a Pure Stock Android Experience. Right after the official unveiling of the First nexus back in the day, Google soon started a mission to debut their latest Android releases with the emergence of a newer Nexus every year. In 2013, Google introduced Nexus 5 to the world. 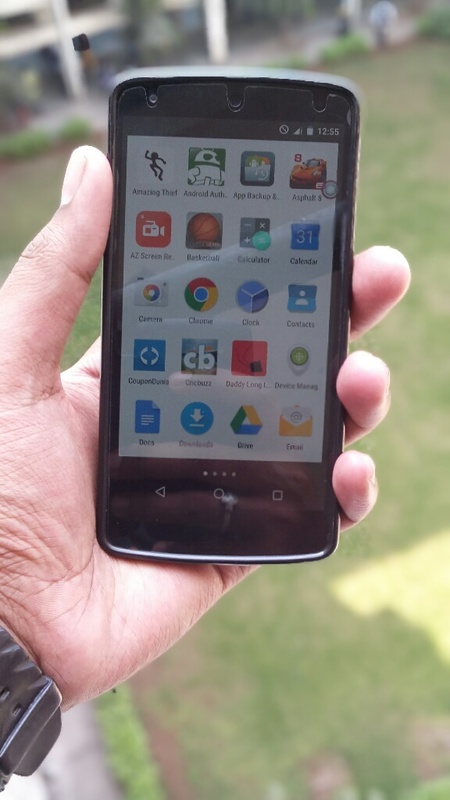 This device had a lot of potential to stand among the flagship devices & still retain that affordable price tag with the cutting edge hardware, let me rephrase that-Back in 2013. Nexus 5 had everything : a better camera, better processing power, 2GB Ram, Lightning fast updates.etc Interestingly enough this was the most beloved Nexus phone around the globe, period. Essentially Google had constructed a frankenstein beast in a smartphone, that didn't cut holes in consumers pockets and offered alot among the competition. But then in 2014, Google came up with Nexus 6. A Device manufactured by Motorola - crafted, honed & upgraded in every inch, so that Users can enjoy the latest and greatest features in the market. But the added elegance chopped that affordable tag from Nexus smartphones. This was going to happen sooner or later due to the added competition, as what you pay for is what you would get. Though Nexus 6 broke the barriers of one-handed usability and forced users to make use of their both hands while performing a task & If you had smaller hands, chances were you did be probably sticking up with Nexus 5. So now in 2015 at the end of the year, Google is playing out smart learning from their mistakes or shall i say, getting inspired from the competition? Coughs, iPhone 6/6Plus(Size differences). 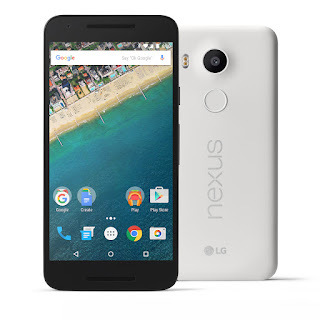 So earlier this week Google released 'Nexus 5X' & 'Nexus6P'. Phones that accommodate in small as well as larger hands. Today let's talk about the Smaller guy - 'Nexus 5X'. Nexus 5X is built upon the foundation of it's older cousin -Nexus 5, despite now it's faster in each and every sense. After all the newest hardware upgrades to many flagships, it was long rumoured that Nexus 5 would get a revamp from Google(technically LG), & that's what has eventually occurred. There's not even a point to speak about the whole leaks that were popping up on the internet, but let the bygones be bygones. So Nexus 5X is here, let's find out what's hot & what's not so hot. LG was smart enough to opt for Snapdragon 808 processor, instead of going with 810 processor for Nexus 5X. The opted chipset is an Hexa-Core processor which is definitely an improvement from the earlier Snapdragon 800 Quadcore Chipset. This makes the device more snappier, as now the processor has a lot of work to do from recognizing Fingerprints to processing crispy 4K footage. But if you consider the price, Oneplus 2 offers a Octacore processor(Snapdragon 810,v.2.1) at a similar price tag. But the heating part chisels of the speediness. Yes, the 2nd generation of Qualcomm's snapdragon 810 processor doesn't heat as much as the 1st Gen chipset, but it still tends to be on the warmer side. Here's the video by MKBHD, showcasing the processor's(oneplus 2) heating issue. But do keep in mind that the performance doesn't go down. So LG was smart enough to neglect this processor & they headed ahead with Snapdragon 808 & 2GB Ram on-board. Both the Rear & Front camera's have been updated. Rear camera is a 12MP shooter(12.3 Software wise) that gives you amazing shots even in low light with the new Lazer-autofocus mechanism, making it's way to nexus family. You can now record 4K video at 30FPS, I guess this was the No.1 requested feature of all time. Also Slo-Mo video recording with upto 120FPS is supported. It all happens with the magic wand - Sony image sensor with 1.55μm pixels. Dave Burke even compared Nexus 6P's photos with iPhone6S Plus, during daylight it seemed like iPhone 6S Plus took the edge, but as the lights went down Nexus 6P was the winner with detailed photos having less-noise without Flash. Google even confirmed that 'Nexus 5X' has the same camera sensor of the 'Nexus 6P'. Infact Nexus 6P lies on the list of 2nd Best Smartphone camera in the world by DxOmark, on top of that it doesn't even have an OIS mechanism & it still manages to be on that list, isn't that's truly impressive? 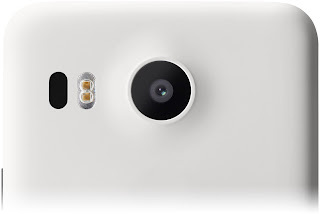 So you're getting all that in Nexus 5X as long as you consider Rear camera. While the Secondary camera is a 5MP shooter with f/2.0 aperture with a 1.4 μm pixels in a image. So expect some great selfies. 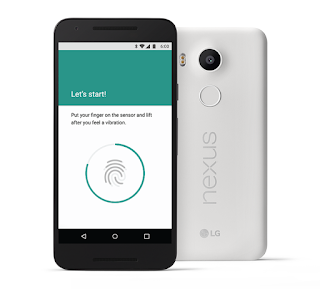 Google brands the fingerprint scanner as 'Nexus Imprint', kind of what Apple did with Touch ID. Nexus 5X again has the same fingerprint scanner residing at the back as the Nexus 6P. Google claims that the Nexus imprint recognizes your touch and unlocks the device in less than just 600 milliseconds. Quicknote: Nexus Imprint understands that you're holding your finger on the sensor, it then wakes up the processor matching your fingerprint with Google's secure algorithm and unlocks the device, there's no need of pushing the sleep/wake key. It's simply hard to believe that all this happens in just 600 milliseconds. Many Device Manufacturers have created fingerprint scanners in the past, but they had to work on the software side on their own . But with the release of Fingerprint API's in Android Marshmallow, Manufacturers can tweak the settings for their sensor to work more efficiently and stay integrated within the system. Well Android Pay also plays a vital role in future mobile payments, play store purchases etc. So put forth, Nexus Imprint is here to stay and I can't wait to test it. 4.) 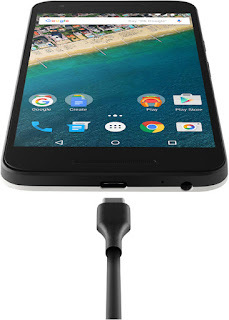 USB Type-C (Fast charging). 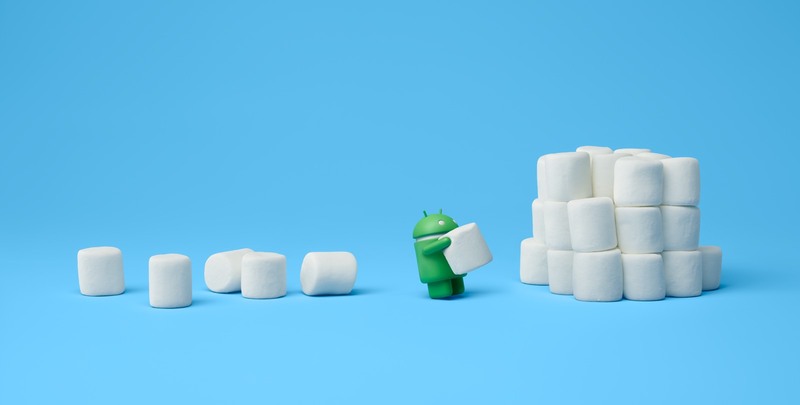 This year at Google IO 2015, Google focused on how they'll be improving the battery life on their future products with the inclusion of the new USB Type-C during the introduction of Android M developer preview. Soon enough many companies included USB 3.1(Type-C) on their devices. Oneplus 2 was one of those devices to hit global release. USB Type-C connection was indeed fast & secure with faster transmission & receiving rates, but this had a downfall which was charging at normal, slower speed rates. This was the reason it took the Internet for it's sedate charging speeds & the hype was finally through with the added spiciness in the absence of NFC chip. Here's a video by GeekyRanjit where he test's the charging speeds of USB Type-C support on Oneplus 2. It approximately takes 2hrs for the Oneplus 2 to charge, I know it has a bigger battery but we can't deny the fact, that it charges very slowly. So this was the main reason many manufacturers skipped USB type-C or USB 3.1 support on their upcoming smartphones, as this space had still a lot to grow. But Google completely changed this fact, as they brought Fast charging to the table with USB type-C port on-board to both Nexus 5X & Nexus 6P, Making the newer mechanism, robust. You can plug-in the charging cord and Get upto 3.8hrs of juice in just 10 minutes on Nexus 5X. So now i wouldn't hesitate recommending anyone a USB type-C device, as the fast charging box left in my list has been checked smartly by Google. I must say well played, Google! Designwise Nexus 5X follows the footprints of Nexus 5 with similar body and finish. Well this time around with smooth curves that expand along the edges & the camera bump that stay's in the center so that the device could wobble in both sides, when laid flat on any surface which is again if you're using the device. LG would've opted for a edge to edge bump as we saw on Nexus 6P, but that's fine when you're cutting the cost. Placement of Nexus Imprint has been well thought of, as we often put our Index Finger at the back while we hold a device, So props there Google! It'll be interesting to see how Cases utilize that part, as it'll give the feeling of a Motorola dimple. Nexus 5X is available in 3 colours - Carbon, Quartz & Ice. It has a gorgeous 5.2 inch (1920x1080) Full HD display with 423ppi. It's good to see that Google went with a HD display instead of jumping to a 2K display, as the processor would've had a lot of work to do on a 2K display hindering the performance. So 1080p HD screen is a great choice as the processor has less pixels to deal-with, so that's a bonus. Although Google opted for an older Gorilla glass 3 panel which I think isn't fair considering the added price. But the display surface has a oleophobic coating to prevent those ugly smudges. Nexus 5X comes with 16/32 GB device storage on-board. As we know Nexus as a brand has been a franchise of devices with no expandable storage & That is a tough choice for any consumer to make while purchasing a device. Google should've added an 128GB or atleast a 64GB version. It's hard to live in 2015 having 16GB as your Internal storage, from which 4-5GB is already taken up by the OS & in-built Apps. So Google, "Please consider adding a MicroSD card slot on a 16GB variant or completely ditch the 16GB model, the world doesn't live on cloud storage especially if you're in a country like India." This is the only part that concerns me. But Google recently made it clear that they'll be reducing the amount of pre-installed apps, so that you're not forced to use them. It's in news that Google Newstand, Google+ will be available to download from Playstore & not as an in-built app. PS: This is not the death of Google Plus in any means. They simply needs to clear the gap between the cross-platform apps to make it more Accessible, just as they did with Google Photos, Hangouts website. Lastly there's the Operating system - the heart and soul of any device, Google introduced an complete overhaul of their Mobile OS last year with Android Lollipop. This year they plan to refine the un-touched left details and make the OS glitches free. 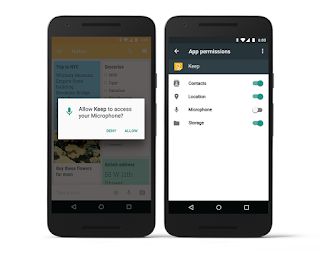 Sundar Pichai makes it clear, that they've gone back to the basics with M release at Google IO 2015. So with the unveiling of the two new Nexus's, Android Marshmallow makes it's debut which is currently rolling out to legacy Nexus & Android One devices in OTA's/Flashable file links. So make sure if you have any of those devices hop on to settings and check for the update. Marshmallow brings many changes from Google now-on-tap, Translation across the system, app-permissions, fingerprint support, Adoptable SD card, Android Pay.etc to refining left parts like redesigned volume sliders, cut/copy/paste mechanism etc. Infact you can check this out - Marshmallow dev preview 1, preview 2, preview 3 to get an in-depth view about the changes. So is Nexus 5X, a perfect buy? Answer would be, Yes with the added features it's a great buy. Moto X Pure can be a great contender to it, but there's no Fingerprint scanner on-board on Moto X Pure/Style which is again a disappointment for many. All in all Google has developed a great device that definitely continues the legacy of Nexus 5 to stand among the very best devices available in the market with better specs & most importantly provides a pure stock android experience. Also keep in mind that both of these Nexus's will be available from October 13th in India. Infact you can already buy one via Google Store.